FreeOffice Free Download 2016 Edition latest version 758.0625 for Windows 32/64 bit. Get FeeOffice offline setup, standalone installer. 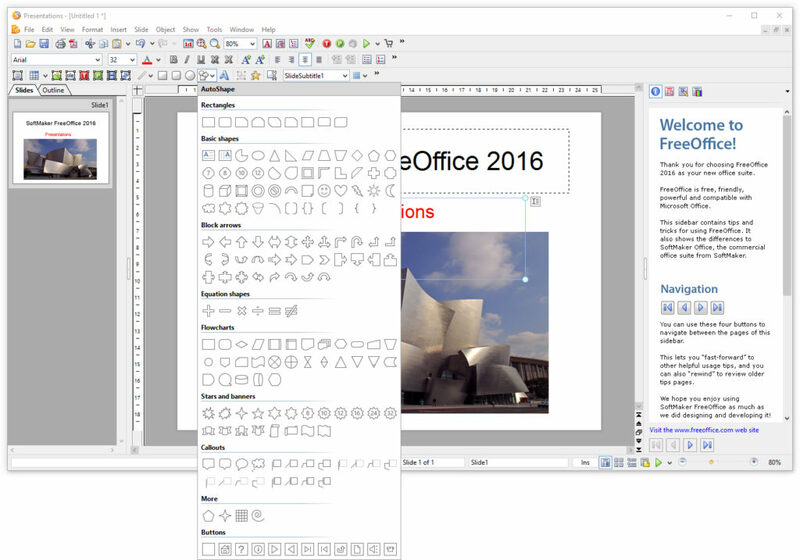 FreeOffice 2016 is a great free office editor suite, with fast render graphics and it’s compatible with many document formats created by other software. It’s built on a lightweight framework which makes it really fast and quick to respond to input. SoftMaker FreeOffice offers very good compatibility with Microsoft Office without having major drawbacks. The user interface is rich with formating, drawing and customization tools. As other office applications, this one is also divided in three different ones to work with certain type of documents. 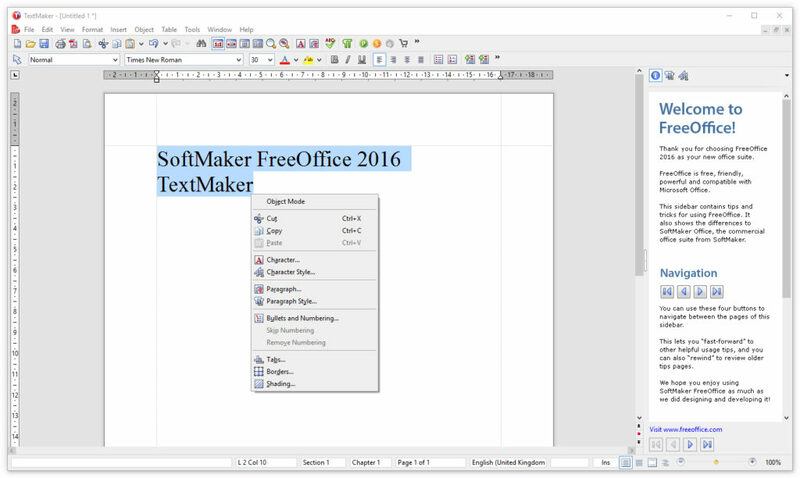 The TextMaker offers support for the doc, docx, rtf, html, and wpd formats. You can open documents created with Microsoft Word without having any issues at all. It also can open files made by OpenOffice and LibreOffice. Editing offers plenty of tools to inser date and time, author, page number, to calculate in text and tables, to insert borders, shading, to hide and protect text, to number pages automatic, to insert heading, headers and footers. The PlanMaker brings support for working with worksheets. You can open files create by Microsoft Excel even if they are password protected. The calculus system is really impressive having more that 350 calculation functions. You can work with worksheets with a maximum of 1 million rows and 16.384 columns. Another cool feature are pivot tables where you can order and sort data by your own specifications. If you want to draw something you can do it by using the AutoShapes or by inserting images. Working with presentations is also possible. Yet again, it offers support for ppt and pptx files created by Microsoft PowerPoint. You can pick from some awsome design templates to start your work faster. Each one of them are customizable by using your own color schemes. If you are interested in using multimedia files like video and sound, insert them and set a trigger or a time that must start the playback. Pick from a bunch of transition animations to give your presentation a nice feel of continuity. Worksheets with up to one million rows. Slide transitions and animations when creating a presentation. Improved compatiblity with Microsoft Office files: open and edit doc, docx, xls, xlsx, ppt and pptx file formats. Plenty of editing and text formatting options. Spell check with support for 58 languages and automatic hyphenation for 33 languages. Over 350 calculation functions at your disposal. 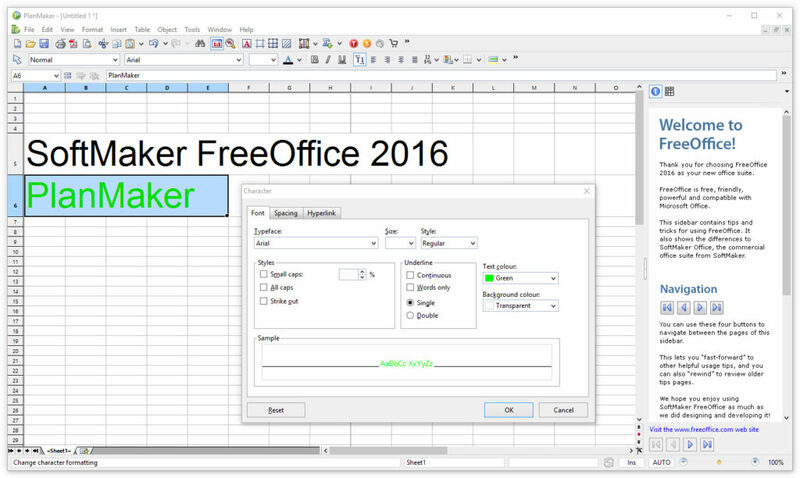 Click the link below to start the FreeOffice Free Download 2016 latest version. If you have any problems while downloading please leave a comment below. After the page opens remember to choose the “Download through your browser” option to start downloading FreeOffice 2016 Edition Offline Installer, Standalone Setup.